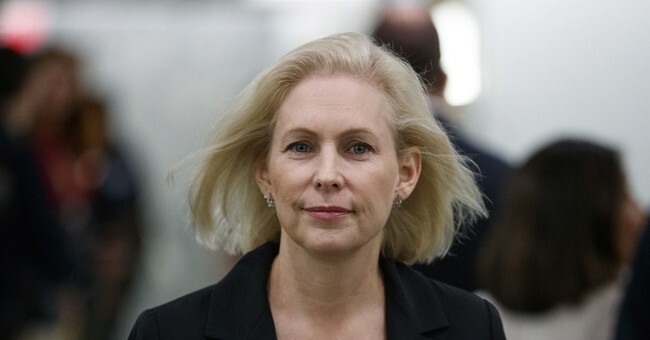 Earlier this week New York's Democrat Senator Kirsten Gillibrand, who was mentored for years by the Clintons, announced she is running for president. As part of her "exploratory" committee, Gillibrand will participate in a Women's March rally this weekend. Gillibrand's participation comes after the organization has been repeatedly exposed as extremely anti-Semitic, in addition to being sympathetic to cop killers and terrorists. Further, the group's organizers are proteges of Nation of Islam leader Louis Farrakahn. Farrakahn regularly calls Jews "termites," advocates for their murder and believes homosexuality should be punished with death. Women's March Leader Tamika Mallory called Farrakhan the "greatest of all time" and proudly posted a photo with him on her personal Instagram account. It's still there. She refuses to condemn his behavior. The Women's March has been falling apart for months, with local groups leaving the national organization due to its extremism. One of the founders of the Women's March, Teresa Shook, wrote a lengthy explanation about why she was calling on current leadership to step down. “As Founder of the Women’s March, my original vision and intent was to show the capacity of human beings to stand in solidarity and love against the hateful rhetoric that had become a part of the political landscape in the U.S. and around the world. I wanted us to prove that the majority of us are decent people who want a world that is fair, just and inclusive of Women and All people. We proved that on January 21, 2017 (and in the U.S. this past midterm with a diverse electorate),” Shook said. A Table Magazine investigative story exposed the group as anti-Semitic from day one. The DNC has pulled its sponsorship of the group. None of this is stopping Gillibrand from continuing her association, which says a lot.